“My bathroom tile is only a few years old, but it already looks like it’s 10 years old! Does it sound like you are in need of some carpet cleaning in San Ramon? Do any of the above statements ring true to you? At Legacy Carpet, we get customers calling us with similar complaints all the time. But we have some great news – you don’t have to get brand new carpeting, furniture, or tile in order for your home to look like new again. All you have to do is call Legacy Carpet for carpet cleaning in San Ramon. We’ll clean your tile, grout, upholstery, and carpet in a matter of hours, saving you thousands of dollars and improving the look and feel of your home. Ready to be happy with your home again? Then you’re ready to call Legacy Carpet today for your San Ramon upholstery cleaning and carpet cleaning needs. As a successful Bay Area carpet cleaner, it’s important that we not only provide professional, affordable services, but that we perform them with a smile. For the owner and team members of Legacy Carpet, this isn’t just a boring day job. It’s a professional trade that requires skill, expertise, and pride. Our team of San Ramon carpet cleaners are constantly refining their craft, discovering what works well and what works better to remove stains and odors fast without any lasting damage to your belongings. Your business needs to keep a spotless reputation – and a spotless carpet. A dirty carpet signifies that you don’t take pride in the services you offer. Show the competition (and your clients) that you are professionals in more ways than one. Keep your workspace clean so that your employees are happier and more productive. We know that your business doesn’t necessarily operate during the standard 9-5 hours – and that every commercial space gets varying levels of foot traffic. That’s why we offer regular carpet cleaning schedules tailored to fit your company’s needs. or other specified schedule. 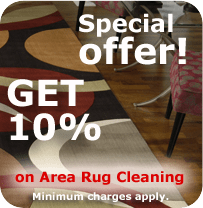 We also offer commercial carpet cleaning in San Ramon for your special events or company parties – just give us a heads up so we can be on site as soon as the party is over! Contact us today to schedule your carpet or upholstery cleaning in San Ramon – and beyond.